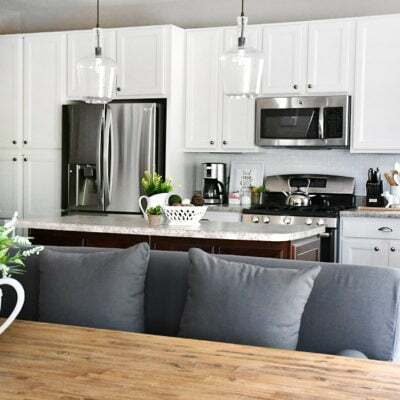 So I’m trying to knock out some house projects left and right in the new place and add some color to our space. I feel like I’m in a hospital or maybe an insane asylum sometimes with all of these white walls. 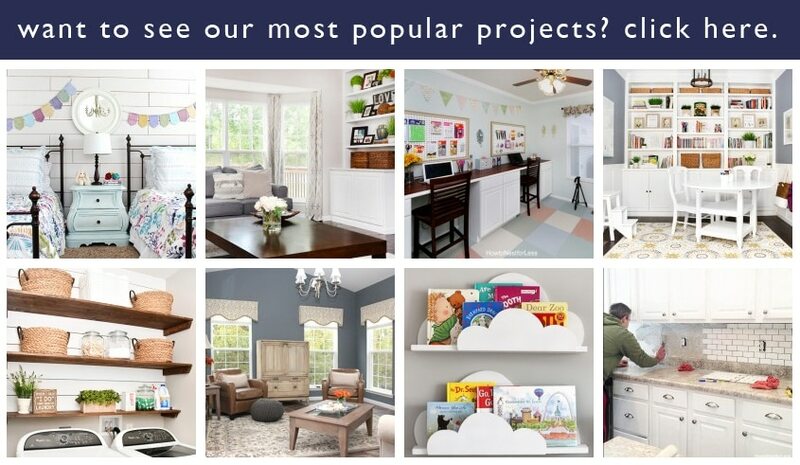 One of the rooms that isn’t near the top of my to-do list is the hall bathroom (or kids bathroom). 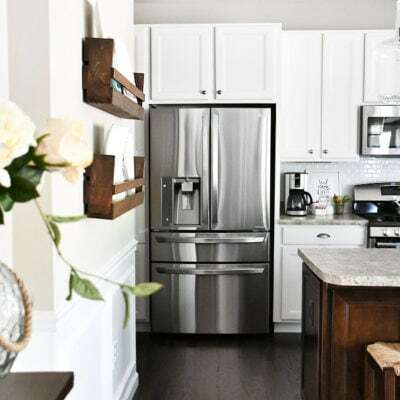 I have some ideas for this space, but they are probably the furthest from my mind right now since no one really sees this bathroom except for Ellie. 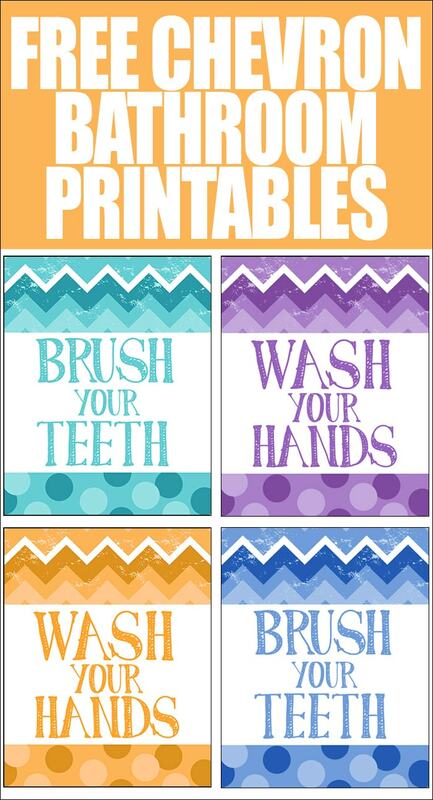 But I decided to jazz it up a bit with some new printables inspired from Listerine’s new chevron bottle design. 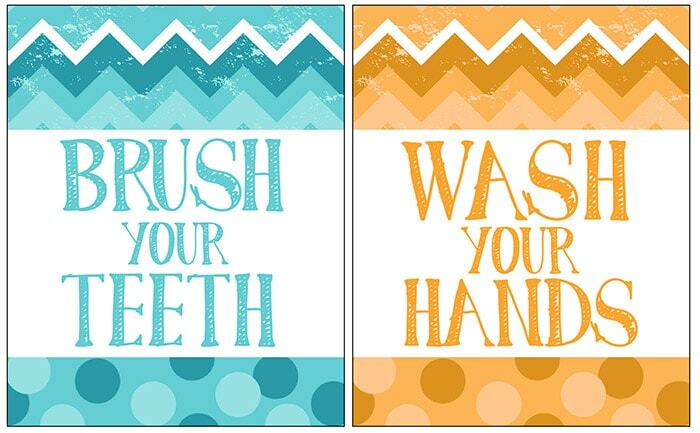 I basically used the same idea from the Listerine bottle to create my new printables “Wash Your Hands” and “Brush Your Teeth”. The orange and blue seemed to be a fun color combo to match the bottle, but also since down the road I’m thinking of a beachy bathroom theme. 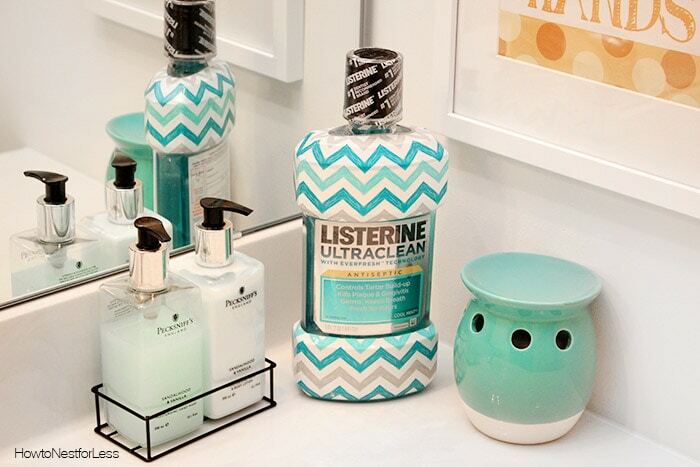 I love that I can keep the new chevron-patterened Listerine bottle right on the countertop to match too. There’s four flavors in Listerine’s newly designed bottles: Cool Mint, Fresh Mint, Arctic Mint, & Fresh Citrus. Each bottle comes in a different colored design, all with the bright colors and a fun chevron pattern! 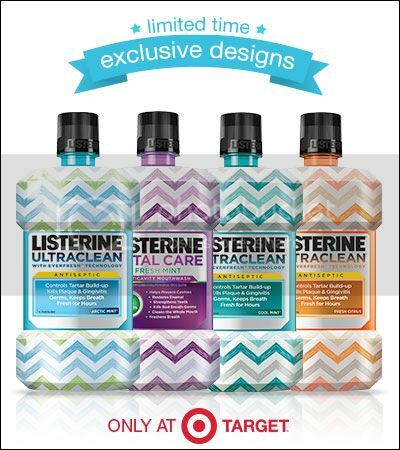 These new Listerine bottles are available for a limited-time only and exclusive at Target (and Save Now with Target Cartwheel)! 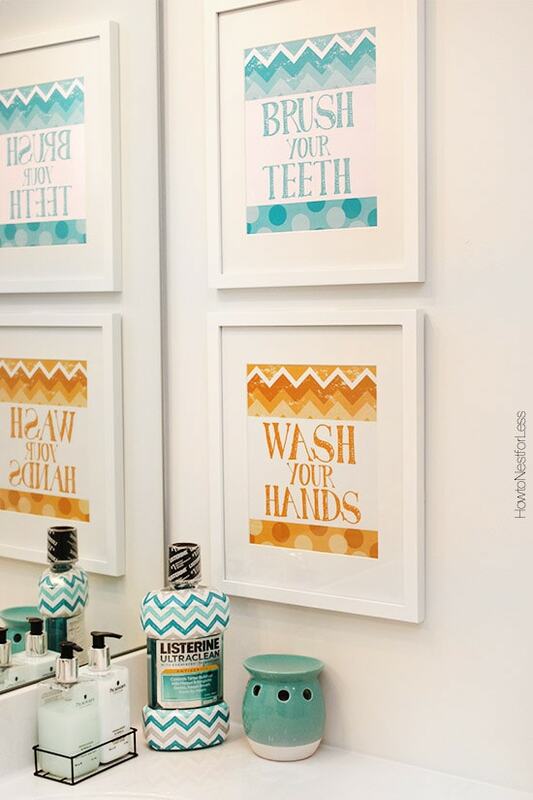 And not only is Listerine the #1 dentist recommended brand and it gives you a cleaner, healthier mouth, but it’s also the trendiest brand out there, ha! 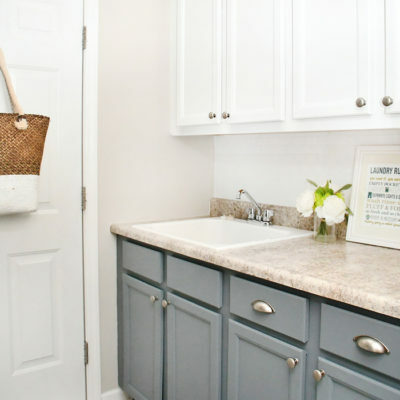 So while this hall bathroom won’t have a full fledged makeover for awhile, at least for now we have a splash of color in the space with some new printables and accessories. Woot!